P&O Cruises has announced that the P&P Aurora will be the first ship in the fleet to get the new livery design during its upcoming multi-million pound make-over. The new livery which the British based cruise line first introduced on P&O Britannia renderings is a large union jack flag on the bow of the ship and new blue funnel with a rising sun logo which lights up. The look is more modern and will showcase UK cruising across the globe. The new livery is part of a 26 million pound upgrade which will also include a lot of other improvements inside and outside the ship. 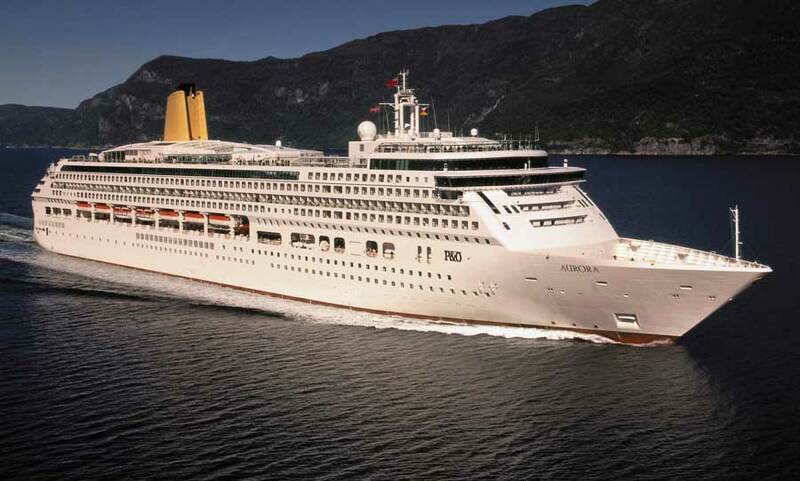 P&O Cruises announced that the Aurora refurbishment will begin on November 29th 2014 to December 18th 2014 and it will take place in Hamburg, Germany. Many of the current dining venues will be upgraded or replaced. some of the new venues include Sindhu restaurant for evening fine dining and the Glass House restaurant and wine bar. several venues will be improved along with menu changes. The refurbishment also includes all the usual hotel department upgrades which includes new furnishings and TV’s in the staterooms and a new fresher look to public spaces.